Home News Who really benefits from single-asset transactions? Not long ago, it was easy to differentiate between a direct secondary transaction and a secondary buyout. The rule of thumb was that a secondary buyout involved a single company, while direct secondary transactions necessitated a multi-company portfolio. As the market evolves, however, we’re seeing these lines become increasingly blurred. GPs are now using direct secondary transactions to acquire single companies through special-purpose vehicles – backed by secondary investors and managed by themselves. In nearly all cases, these are companies that the GP already manages through an existing fund. In other words, rather than pursuing a traditional exit to a third party, the GP acts as both seller and buyer, creating an entirely new category of exit. It’s a complex process that can take time and skill. So why would a GP pursue this type of transaction? Well, there is no question that GPs can meaningfully benefit from it. By retaining management of the company, rather than selling it to a third party, they maintain or increase their AUM (depending on the purchase price and whether additional capital is raised to support the investment). They also stand to generate fees and carried interest from the new vehicle and are able to reinvest any realised proceeds from the exit – including carry – into this new vehicle. However, it would be a mistake to think these transactions only benefit the GP. The truth is that single-asset transactions, if launched under appropriate circumstances and properly organised, can often deliver better value to the fund’s LPs than an exit to a third party. To understand this, let’s explain what we mean by “launched under appropriate circumstances”. Broadly speaking, there are two sets of such circumstances. The first is where the fund is nearing the end of its life and is looking to divest its remaining portfolio, but where one company is not yet ready to be sold “well” to a third party. Choosing a single-asset transaction allows both the GP and LPs to avoid the negative performance consequences of selling the remaining company to a third party at an unfavourable valuation. The second set is when there is a clear potential for superior value creation if the GP can continue to manage the company beyond the fund’s expiry date. This value creation may also require the support of additional capital for consolidating additional holdings in the company or follow-on investments. Under such circumstances, the GP, as a buyer, should be able to offer the highest price for the company relative to any third party – creating a clear benefit to the fund in “selling” to the GP. In either of these circumstances, the higher price achieved for the company ultimately means a better outcome for the selling fund’s LPs – therefore, it’s a win-win for both GPs and LPs. There are further pricing advantages inherent to such transactions. Within these transactions, the acquiring vehicles typically pay lower fees and carried interest to the GP than the standard 2 percent and 20 percent, respectively, that a third-party GP would take. This means lower gross to net spread for the backing secondary investors, allowing them to pay a higher price. Furthermore, by keeping the same GP and allowing it to continue to execute its existing value creation plan, investors in the acquisition vehicle are mitigating many of the risks associated with a change of control. Lower risk typically means higher pricing. We should also note here that the returns targeted by the secondaries market in general have gone down in recent years, leading to a typically cheaper cost of capital compared to alternative exit routes. But it’s not just about pricing. There are additional ways in which single-asset transactions can provide a better proposition for existing LPs. One other key benefit of these transactions is that they typically provide the LPs of the selling fund with options: to bank the exit or to remain invested in the company through rollover or reinvestment of their proceeds from the sale to the new vehicle. Rollover is a strong proposition for any LP of the selling fund that believes in the remaining upside potential of the company. This rollover option is simply not available to LPs in any other type of exit. Of course, all these benefits to LPs do not mean that the GP is free of conflicts of interest – that still needs to be properly managed through a fair and transparent advisor-led process. Anything less than this should raise questions and concerns for all parties and is rarely advisable. Ultimately, though, existing fund LPs have as much to gain from these transactions as the GPs. That’s why as the secondaries industry continues to grow and evolve, we expect to see these single-asset transactions become a real fixture on the scene – creating value and optionality for all involved. 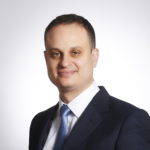 Yaron Zafir heads the transactions practice at Rede Partners, focused on advising private equity managers on GP-led secondary transactions. Rede has advised on several notable single-asset secondary transactions over the course of the last 12 months, including one of the largest ever single-asset transactions completed to date.